Today I decided to sign up to a new bank for my main business account. I was debating between Kiwibank and ASB – as they both seem to have the best reputation. I decided to give Kiwibank a go. Following the same “do the easiest thing” logic I clicked on the “Business Banking Centre text to find my local branch. It was in Marion Street here in Wellington. I didn’t want to send an email – too slow, nor fill out a form – far too complicated, and certainly not make a phone call to an 0800 queue. So off to Marion street I went. Someone was inside the door, saw me and, after a pause, opened it. That’s when things started to go wrong. “Hi – I’d like to open a business account”. The chap that looked behind himself for a second at another guy then turned back and abruptly said “Sorry no”. I noticed that while the office door and the chairs outside looked professional, the office itself was a seething mess of papers. There were three people inside – the chap that greeted me, someone in the far corner on the phone and another guy who I didn’t really see. Still no customers in sight. I asked again – but they again said no – too busy. And that, it seemed, was it. This all happened very quickly – the door swung shut and I opened it again – asking why they wouldn’t open an account for me. Apparently I was meant to make an appointment, and the chap on the phone was the only guy that could open business accounts. It also appeared that they just didn’t want my business. So ASB it is then. 1: I was there at 4:40pm – plenty of time before 5pm closing. I have a pay and display parking ticket to prove it. 3: The chap on the phone – identified as ‘Sean’ by Cliff, is a Business Support Specialist. He didn’t do anything wrong – and seemed to be working hard. His job title doesn’t sound as important as a Business Manager. Can’t the manager sign up accounts? 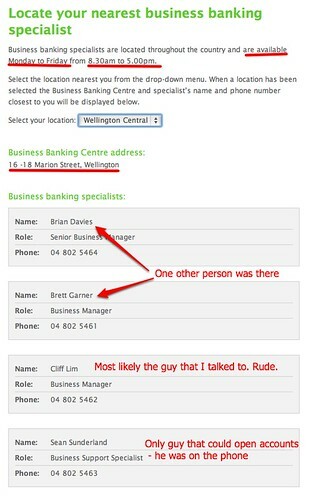 4: The other person in the office, and all of these names are true only in the Kiwibank website is up to date, was Brett Garner. He observed only. 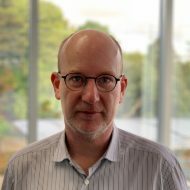 5: The Senior Business Manager is Brian Davies – I called him subsequently and it turns out he was out of the office today. His message suggested calling Sean. 6: Nobody tried to qualify me – how much money was walking into, and then out of their bank? Nor did they apologise and ask to make an appointment for the next day. They just didn’t want my business. 7: I believe this was unacceptable from Kiwibank, and along with this post I have left a message with Brian Davis. We shall see what happens. Seriously, try BNZ. Walk to North End Branch on Lambton Quay and look for Alina. I recently wanted to make some changes on my business account and completed the whole transaction over email and two phone calls. I only had to go to the branch to sign the papers. Very good service. And they even offered me coffee or tea while I waited – I was a few minutes early. I’m already with the North End branch of BNZ Mauricio – and apparently (I don’t go in) they are very efficient. For my business account I’m looking to use another bank – both to avoid one being held over the other and to try another bank versus BNZ. It does appear that Sean does all the work at that bank. Someone should walk in there and hire him away. Kiwibank also have some weapons at their disposal. We’ve opened two accounts thus far, at the same Business Banking center. Same experience, expect we were told to come back a little later. When we did, we were met with a young man – who I can only assume is Sean – who was ridiculously efficient. Brought us into the next room, discussed what we wanted, and created our account so quickly that I felt sure his clacky dell keyboard would melt. It would appear he is the only one who *works* out of this “Business Banking Center”. I am not defending Kiwibank but when I opened an account there I had to make an appointment. I also required an appointment to open a National Bank account too. To be honest I think most banks employ this policy. Sounds like a massive website communication failure as I can’t see any of the banks allowing a “drop in” new account opening 20 minutes before close. Once again, not excusing Kiwibank, who from the sounds of things have plenty to learn from this experience. At least Kiwibank are delivering a consistent experience – you, me, and others all seem to have had a similarly bad time. FWIW, I’ve used them since early on and can’t really recall any negative experiences. The people in the Post shops are generally very helpful, and seem to be able to get things done quickly. The one exception to the above is getting into less common business operations (FX insurance, etc. ), where Kiwibank just doesn’t have experience. I’ve never needed these mind you, but had inquired – and the chap who picked up the phone in their business centre was able to tell me that they simply don’t do this. Love to know which Branch you use Jan Z . I have nothing but very bad Service . Example : I waited for 10 min’s in the Kiwi Bank only for the Teller to put up her closed sign immediately I got to the front . I was so incensed I went to walk away but then thought I should talk to the Manager . On turning around 10 seconds later the Teller had re-opened . Efforts to speak to the Manager were typically fruitless . TWO DAYS LATER . 2 tellers on duty , queues out past the door . Senior teller leaves her teller position to take a passport photo. The Junior teller then has to leave his position to ask a question of the Senior teller . Simply put : Service is simply something they are not remotely interested in . Wow, that’s really disappointing to hear as I swear by KiwiBank. They were highly efficient when I setup our business account (we moved from ASB to them) and even bent their own policies to suit us. They’ve also been good with occasional business advice and always been speedy with any requests. Oh well, though it is always a bit gutting to hear brands you recommend not following through. We set up an account for ffunnell at Kiwibank – Sean did it all – nothing was too much trouble. I think I may hire him! 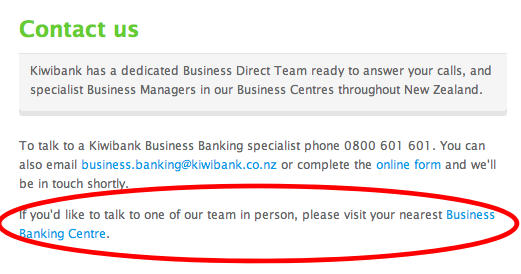 That’s interesting – I think the in-branch experience is where Kiwibank doesn’t have it right. I’m wondering though – Why do you have to go into the branch at all? Aren’t we just conditioned to doing that? I did the same thing when opening mine and they just told me to call the 0800 number. It was all sorted over the phone. with kiwibank from day one you’ve always needed to make an appointment. so i guess it’s consistent, not necessarily consistent good, but perhaps that’s what comes of having some staff who work nz post and kiwibank all at the same time. And that’s where it went diabolically pear-shaped – I waited for at least 20 minutes in plain view of the only KB counter staff on duty in the ‘front office’. She carried on chatting to a client without even acknowledging me – disgraceful… I could hear enough of their conversation to know that it was just a chat – any business was well and truly done. Lance – how was ASB? Lance, wish I could say this was untypical but it isn’t. Their online service is a mess and confusing. Offline it just depends on the person you strike. 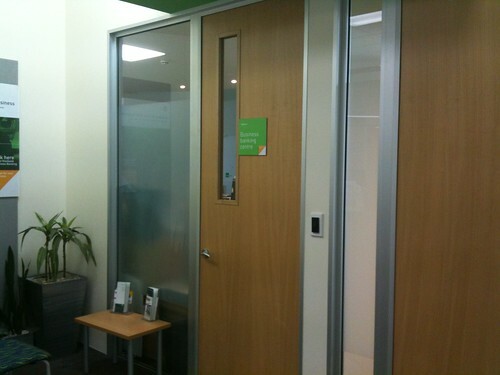 I remember going to the Manners St branch with a $25k bank cheque to put into my call account – no one wanted it. I walked across the road to ASB and the FOREX person took care of it for me, and then got into a nice convo about the car I had just sold. really enjoying these posts, I think the up-shot is good service is all we want/ask for, and if the culture is great or slack it will flow through the whole operation; managers need to be aware of what is happening on the shop floor. I got one step further than you with Kiwibank… I actually opened a Kiwibank business account but then as I started to discover the poor levels of service for myself I closed it again. Instead I switch to ANZ are offering 2 years of free business banking to new businesses, plus they have given me a dedicated business manager (who is fab and has been really working hard to understand me and my business). I think a number of New Zealanders forget what they are paid for, they take their jobs for granted. They are paid to provide a service and uphold the image of the company, unfortunately they too often forget. @MOD Their online service is a mess and confusing. I beg to differ – their website is excellent – simple to use, comprehensive and looks good. It is far superior to my other banks BNZ, ANZ, WBC (NZ & AU) and TSB. 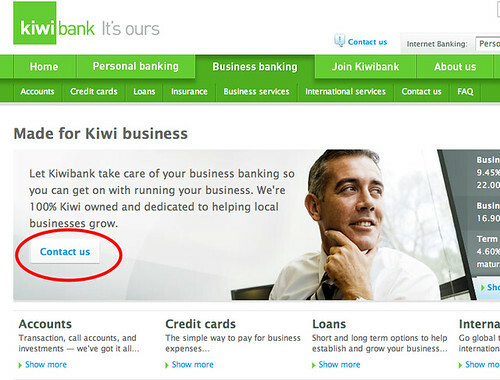 Whilst their site is well laid out, shame no one at kiwibank utilises it. I currently have an issue with them, something I will not go into here as its now quite long winded, but their credit card dept will not reply to me, so I raised a complaint last week, they promise to reply in 2 business days, 7 business days later and I still have not had a reply. I’ve again complained this morning stating failure to reply today will mean I raise this with Banking Ombudsman. Up to now I’ve not had any issues with them, but now I actually require some customer service, it is quite apparent they don’t have any. I’m now looking for a better bank, alas I’m not sure NZ has one. 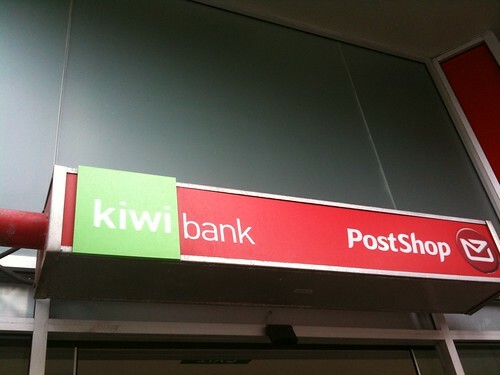 Kiwibank is the worst bank I’ve ever seen in a few countries that I’ve done business in. Closing my accounts with them after two years of wasting time and money. I could name half a dozen who would welcome him.